For Mother’s Day Stuart got me this 5 piece cast iron cook set! I’d been dabbling with the idea of cast iron cooking, and since we got the Kitchen Queen cook stove I thought it was time to take the plunge. 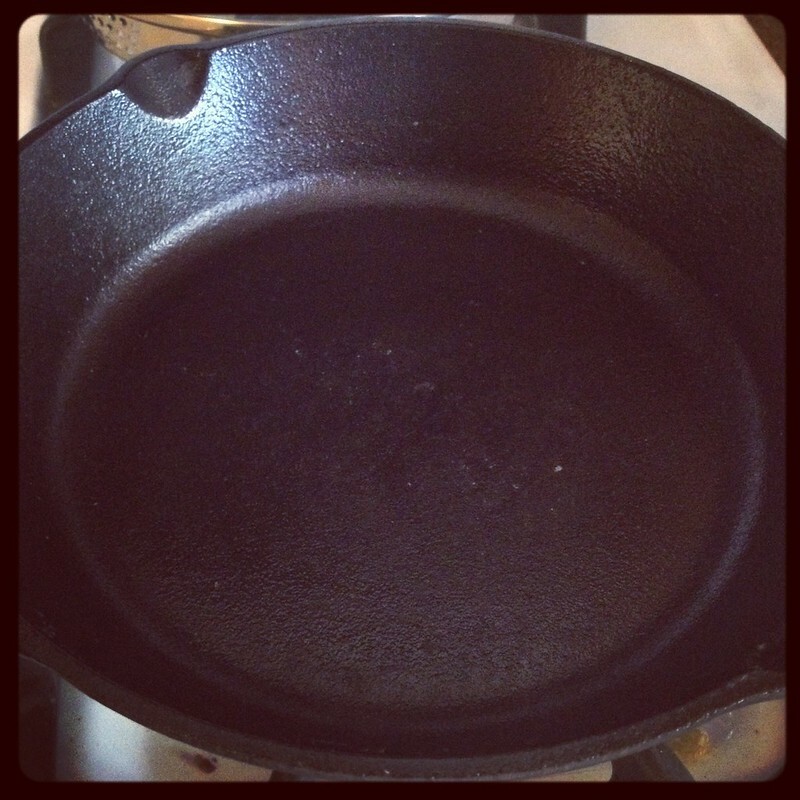 Cooking with cast iron has never been something I thought I’d like to do. You have to understand, I have a history with cast iron. 😉 My mom had one pan, and I don’t know how large it was, as kids your perspective is rather skewed. But we kids dubbed that pan “Ton” because that was how heavy it felt to us when we washed it. Also, I now know that we didn’t keep that pan seasoned correctly. We washed it by hand because we didn’t have a dishwasher (although my dad frequently told us he had 3, as in us kids) and we would let it soak in the hot soapy sink for awhile before attempting to scrape off whatever was stuck to it because stuff always stuck! 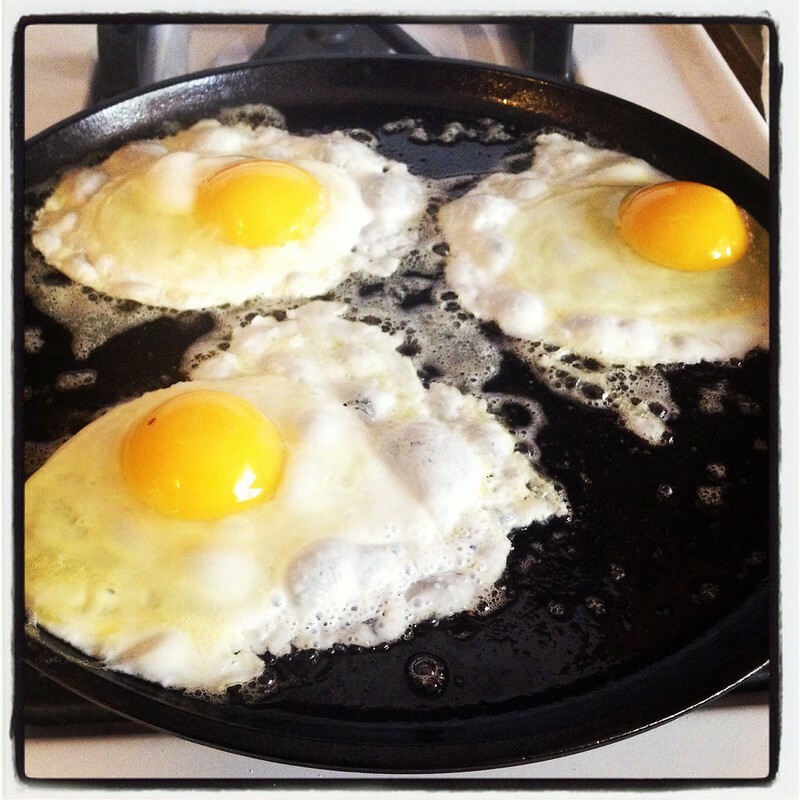 A few years ago Stuart unearthed a couple cast iron pans from somewhere that he’d had before and he read up on how to salvage and reseason those. The one that he worked on for hours to season was an enormous 15 inch (or so) skillet! It’s so huge that you can’t have another pan on the burner next to it on the stove!! Let me tell you, it makes “Ton” look like a wuss! 😉 And I don’t care for that particular pan either. It takes at least 2 hands to lift it, and they designed it with an itty-bitty handle which of course is red hot whenever you use the pan. Having said all of that you may wonder why I even wanted to bother with cast iron again. Well… I’m not sure actually. 😉 Probably for a combination of reasons. I think that they will work the best with the new wood cook stove. And I really don’t want to use the “nonstick” kind of coated cookware. And I tried stainless steel skillets and I can’t make them any more stickless than I figured cast iron would be so why not? It took me a few weeks actually after they came to even attempt to use some of them. When I finally did try to fry eggs in one, it turned into scrambled eggs and this was what I was left with! Oh noooooo!!!! It’s the revenge of Ton!!! But rather than let it beat me I washed it, sans soap, and I heated it again and poured just a couple drops of avocado oil on it and smeared it all around till it was a beautiful shiny black. The next attempt was scrambled eggs. I figured that I’d go ahead and scramble them first so it wasn’t such a flop if they turned out scrambled, ha! I coated it with the oil again, and then melted a bit of butter in the pan first. This is what happened. Barely any stickage at all!! Yay!!! Next I tried making spaghetti in the Dutch Oven. I mentioned on Instagram (which y’all should follow me on! More pics there!) 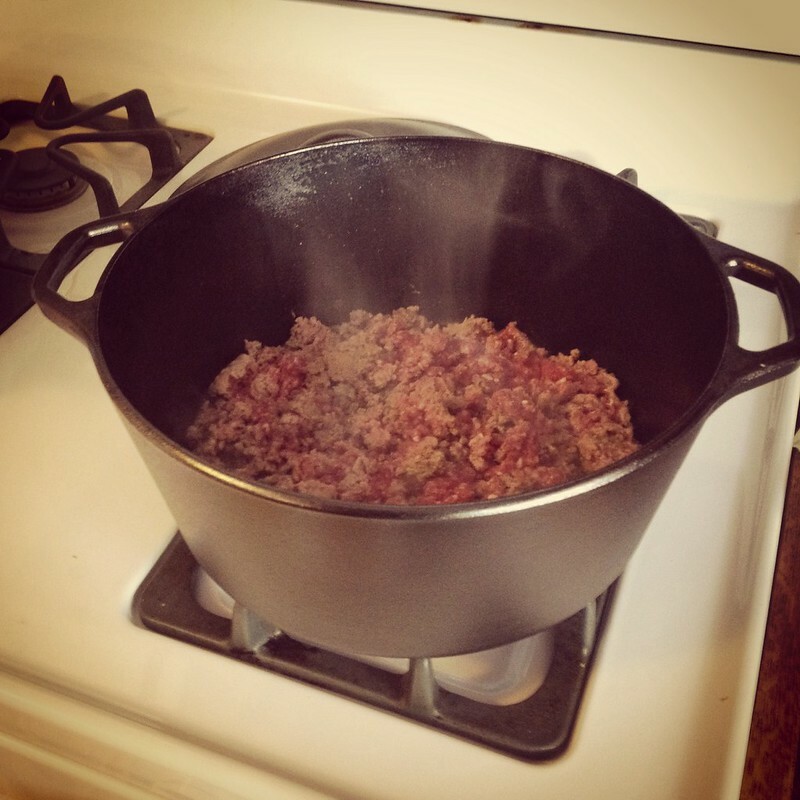 that I felt like I was channeling Ma Ingalls when I used that pan! There’s just something so old timey about it!! Had no sticking on that one either. 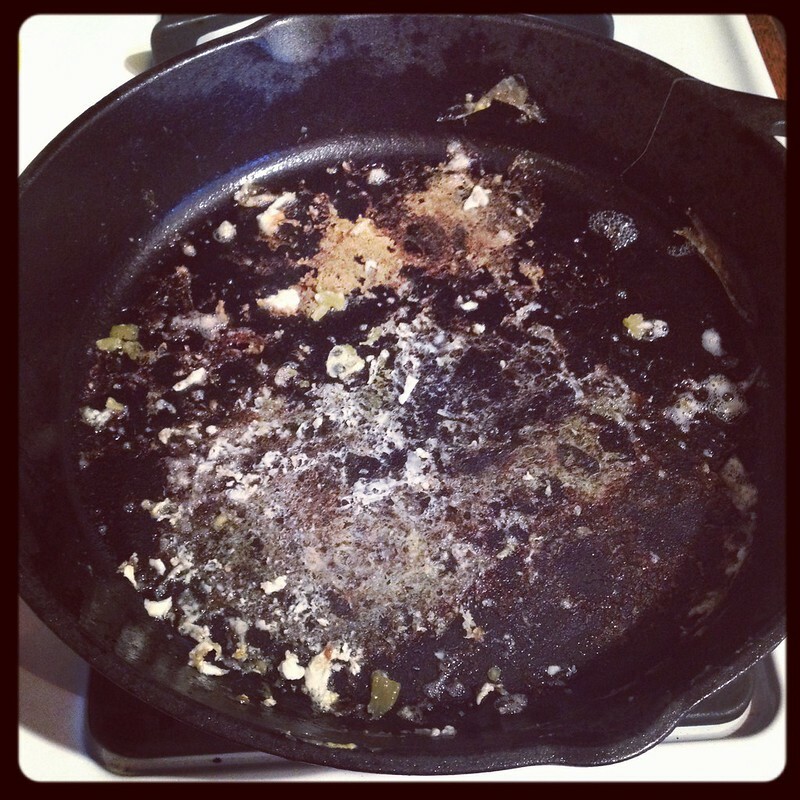 The last pan I tried was the flat skillet thingy… what is it called? And I attempted fried eggs again. Aren’t farm egg yolks lovely!! Mmmmm-mmmmmm!! I did have some sticking on this pan. I think the official “test” of the true seasoned condition of all these pans is if fried eggs will stick to them! Shared with the Barn Hop at The Prairie Homestead.